1894 Britain and Japan agree by treaty that all extraterritorial rights in Japan will be eradicated by 1899. 1896 Birth: Gottlob Berger: German Nazi who held the rank of Obergruppenfuehrer during World War II and was later convicted of war crimes. In 1939, he was Reichsfuehrer-SS Heinrich Himmler's main recruiting officer. From 1940, he was Chief of Staff for the Waffen-SS and head of SS-Hauptamt (English: SS main office). July 16-17 Russian Revolution: Following a disastrous military offensive, Petrograd soldiers, instigated by local Bolshevik agitators, demonstrate against the government in what becomes known as the "July Days." Trotsky is arrested and Lenin is forced to go into hiding in Finland. (July 3-4, O.S.) It is interesting to note that in the period from February through June, the Bolsheviks had undergone a virtually uninterrupted growth of influence in the working class and also among the Petrograd garrison. Revolutions rarely occur with such a seamless transition, and Russia in 1917 was no exception. The forces of counterrevolution were far from dead, and the ruling class wanted revenge for the humiliation of the June demonstration. Russian Revolution: Romanov family executed: In Yekaterinburg, Russia, Czar Nicholas II and his family are executed by the Bolsheviks, bringing an end to the three-century-old Romanov dynasty. Crowned in 1896, Nicholas was neither trained nor inclined to rule, which did not help the autocracy he sought to preserve among a people desperate for change. The disastrous outcome of the Russo-Japanese War led to the Russian Revolution of 1905, which ended only after Nicholas approved a representative assembly—the Duma—and promised constitutional reforms. The czar soon retracted these concessions and repeatedly dissolved the Duma when it opposed him, contributing to the growing public support for the Bolsheviks and other revolutionary groups. In 1914, Nicholas led his country into another costly war—World War I—that Russia was ill-prepared to win. Discontent grew as food became scarce, soldiers became war weary and devastating defeats at the hands of Germany demonstrated the ineffectiveness of Russia under Nicholas. To the French and American Soldiers of the Army: We may be attacked from one moment to another. You all feel that a defensive battle was never engaged in under more favourable conditions. We are warned, and we are on our guard. We have received strong reinforcements of infantry and artillery. You will fight on ground which by your assiduous labour you have transformed into a formidable fortress, into a fortress which is invincible if the passages are well guarded. The bombardment will be terrible. You will endure it without weakness. The attack in a cloud of dust and gas will be fierce, but your positions and your armament are formidable. The strong and brave hearts of free men beat in your breasts. None will look behind, none will give way. Every man will have but one thought: "Kill them, kill them in abundance, until they have had enough." And therefore your General tells you it will be a glorious day. [Gypsies] are by nature opposed to all work, and find it especially difficult to tolerate any restriction of their nomadic life; nothing, therefore, hits them harder than loss of liberty, coupled with forced labor." The law requires the registration of all Roma and Sinti, settled or not, with the police, registry office and unemployment agency in each district. Bavarian State Counselor Hermann Reich praises "the enactment of the Gypsy law . . . . This law gives the police the legal hold it needs for thorough-going action against this constant danger to the security of the nation." 1935 Holocaust: Violent anti-Jewish demonstrations occur on Berlin's Kurfuerstendam. 1938 Tokugawa Soyeshima of Japan informs the Olympic Committee that, due to the conflict with China, Japan will not be able to host the 1940 Winter Olympics. 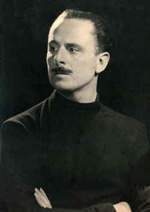 1939 Sir Oswald Mosley declares that one million British Fascists will refuse to fight in a "Jewish war." 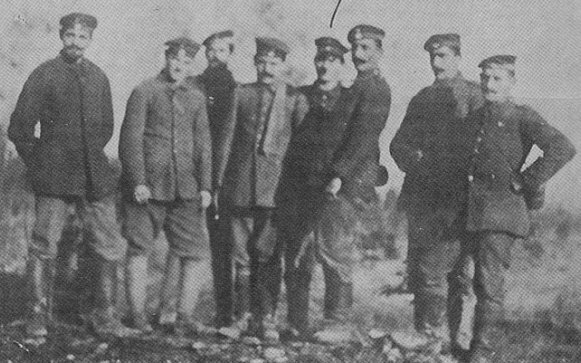 As Germany began to overrun more French territory, the French Cabinet became desperate for a solution to this crisis. Premier Paul Reynaud continued to hold out hope, refusing to ask for an armistice, especially now that France had received assurance from Britain that the two would fight as one, and that Britain would continue to fight the Germans even if France were completely overtaken. But others in the government were despondent and wanted to sue for peace. Reynaud resigned in protest. His vice premier, Henri Petain, formed a new government and asked the Germans for an armistice, in effect, surrendering. This was an ironic position for Petain, to say the least. The man who had become a legendary war hero for successfully repelling a German attack on the French city of Verdun during the First World War was now surrendering to Hitler. In the city of Vichy, the French Senate and Chamber of Deputies conferred on the 84-year-old general the title of "Chief of State," making him a virtual dictator, although one controlled by Berlin. Petain believed that he could negotiate a better deal for his country—for example, obtaining the release of prisoners of war—by cooperating with, or as some would say, appeasing, the Germans. But Petain proved to be too clever by half. While he fought against a close Franco-German military collaboration, and fired his vice premier, Pierre Laval, for advocating it, and secretly urged Spain's dictator Francisco Franco to refuse passage of the German army to North Africa, his attempts to undermine the Axis while maintaining an official posture of neutrality did not go unnoticed by Hitler, who ordered that Laval be reinstated as vice premier. Petain acquiesced, but refused to resign in protest because of fear that France would come under direct German rule if he were not there to act as a buffer. But he soon became little more than a figurehead, despite efforts to manipulate events behind the scenes that would advance the Free French cause (then publicly denying, even denouncing, those events when they came to light). When Paris was finally liberated by General Charles de Gaulle in 1944, Petain fled to Germany. He was brought back after the war to stand trial for his duplicity. He was sentenced to death, which was then commuted to life in solitary confinement. He died at 95 in prison. The man responsible for saving his life was de Gaulle. He and Petain had fought in the same unit in World War I and had not forgotten Petain's bravery during that world war. 1940 World War II: Operation Sealion: Hitler issues Directive #16 concerning (Unternehmen Seeloewe) the invasion of Great Britain: "As England, in spite of the hopelessness of her military position, has so far shown herself unwilling to come to any compromise, I have decided to begin to prepare for, and if necessary to carry out, an invasion of England . . . . and if necessary the island will be occupied." 2) To emphasize that we are liberators. In particular: The Crimea has to be evacuated by all foreigners and to be settled by Germans only. In the same way the former Austrian part of Galicia will become Reich Territory. Our present relations with Romania are good, but nobody knows what they will be at any future time. This we have to consider, and we have to draw our frontiers accordingly. One ought not to be dependent on the good will of other people. We have to plan our relations with Romania in accordance with this principle. On principle, we have now to face the task of cutting up the giant cake according to our needs, in order to be able: First, to dominate it; second, to administer it; and third, to exploit it. The Russians have now ordered partisan warfare behind our front. This partisan war again has some advantage for us; it enables us to eradicate everyone who opposes us. Principles: Never again must it be possible to create a military power west of the Urals, even if we have to wage war for a hundred years in order to attain this goal. Every successor of the Fuehrer should know security for the Reich exists only if there are no foreign military forces west of the Urals. It is Germany who undertakes the protection of this area against all possible dangers. Our iron principle is and has to remain: We must never permit anybody but the Germans to carry arms . . . . The Fuehrer emphasizes that the entire Baltic country will have to be incorporated into Germany. At the same time, the Crimea, including a considerable hinterland (situated north of the Crimea), should become Reich territory; the hinterland should be as large as possible. Rosenberg objects to this because of the Ukrainians living there. Note by Bormann: (Incidentally: It occurred to me several times that Rosenberg has a soft spot for the Ukrainians; thus he desires to aggrandize the former Ukraine to a considerable extent.) The Fuehrer emphasizes furthermore that the Volga colony, too, will have to become Reich territory, also the district around Baku; the latter will have to become a German concession (military colony). Japan July 16-18: Prince Kenoye reforms his cabinet, eliminating Matsuoka, who has been urging that the neutrality agreement with the Soviets should be abandoned, so that Japan can join with the Germans in the attack on the USSR. Kenoye believes that without Matsuoka and his known liking for Hitler, there is a better chance of reaching an agreement with the US over the pressing lack of oil reserves. After the Winter War (1939-1940) according to the Moscow Peace Treaty, Ladoga, previously shared with Finland, became an internal basin of the Soviet Union. During the Continuation War (1941-1944) not only Finnish and Soviet, but also German and Italian (see also Naval Detachment K and Regia Marina#Lake Ladoga) vessels operated there. 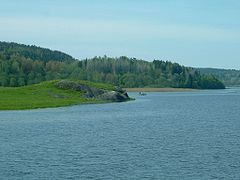 Under these circumstances, during much of the Siege of Leningrad (19411944), Lake Ladoga provided the only access to the besieged city because a section of the eastern shore remained in Soviet hands. Barbarossa: On the central front, German forces of Heeresgruppe Mitte begin the destruction of several Soviet divisions encircled in the Uman pocket. In planning the invasion, the Wehrmacht basically had the choice of two strategies: the first was to wage a war of attrition, while the second was to win by military annihilation in the tradition of Napoleon. In choosing, the Germans would have been wise to consider the consequences the latter strategy had in the invasion of Russia for Napoleon. However, the Germans and their Nazi leaders felt that defeating the Soviet Union would be fairly easy, and thus chose the strategy of military annihilation. One reason for this is that the Nazis had been stressing such traditional German concepts as Lebensraum (living space) and Drang nach Osten (push to the East), as well as promoting racism and anti-Semitism. All four concepts "justified" a war of annihilation. Stalin's son—Lt. Jacob Dugashvili—is taken prisoner near Vitebsk. Between April and August 1941 up to 14,000 Australians, under the command of Lieutenant General Leslie Morshead, were besieged in Tobruk by a German-Italian army commanded by General Erwin Rommel. 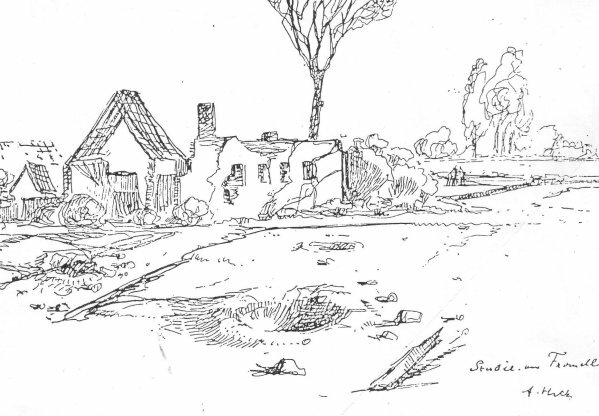 The Allied garrison, largely Australian, consisted of the 9th Division (20th, 24th, and 26th Brigades), the 18th Brigade of the 7th Division, and four regiments of British artillery. The Royal Navy and the RAN service kept the garrison supplied by means of the so-called Tobruk ferry, which included the Australian destroyers Napier, Nizam,Nestor, andVendetta. Lost on the supply run were two destroyers including HMAS Waterhen, three sloops including HMAS Parramatta, and 21 smaller vessels. Hitler arrives at Werwolf—his headquarters in Vinnitsa, Ukraine. North Africa: In Egypt, the British Eighth Army (Montgomery) attacks the Afrikakorps' positions at El Alamein, gaining some ground near the railway station. Vichy France: (Rafle du Vel'd'Hiv) French police officers round up 13,000 Jews and hold them in the Winter Velodrome. The round-up is part of an agreement between Pierre Laval and the Nazis. Germany has agreed not to deport French Jews if France arrests foreign Jews. The Seventh Army met little opposition during its sweep through western Sicily. Guzzoni had recalled the 15th Panzer Grenadier Division to central Sicily soon after the invasion, and the only troops left in the western portion of the island were Italians who, for the most part, showed little inclination to fight. While General Bradley's II Corps pushed north to cut the island in two east of Palermo, Patton organized the 2d Armored, 82d Airborne, and 3d Infantry Divisions into a provisional corps under Maj. Gen. Geoffrey Keyes and sent it on a 100-mile dash to the Sicilian capital. Palermo fell in only seventy-two hours, and by 24 July the Seventh Army had taken control of the entire western half of the island, capturing 53,000 dispirited Italian soldiers and 400 vehicles at the loss of 272 men. Following the unfortunate sinking of one of your ships in the North Pacific, for which I am deeply sorry, I have directed that every possible precaution be taken in the future. Although I have no detailed news, I think I can safely congratulate you on the splendid showing your armies are making against the German offensive at Kursk. I hope to hear from you soon about the other matter which I still feel to be of great importance. Baltics: Soviet troops occupy Vilna, Lithuania, in their drive toward Germany. Brigadier-General Leslie R. Groves, himself an engineer, was now in complete charge of a project to assemble the greatest minds in science and discover how to harness the power of the atom as a means of bringing the war to a decisive end. The Manhattan Project (so-called because of where the research began) would wind its way through many locations during the early period of theoretical exploration . . . . But the Project took final form in the desert of New Mexico, where, in 1943, Robert J. Oppenheimer began directing Project Y at a laboratory at Los Alamos, along with such minds as Hans Bethe, Edward Teller, and Fermi. Here, theory and practice came together, as the problems of achieving critical mass—a nuclear explosion—and the construction of a deliverable bomb were worked out. Finally, on the morning of July 16, in the New Mexico desert, 120 miles south of Santa Fe, the first atomic bomb was detonated. The scientists and a few dignitaries had removed themselves 10,000 yards away to observe as the first mushroom cloud of searing light stretched 40,000 feet into the air and generated the destructive power of 15,000 to 20,000 tons of TNT. The tower on which the bomb sat when detonated was vaporized. I have endeavored to present to the Tribunal the most important facts supplemented by a number of legal considerations regarding naval warfare in order to clarify the most important problems to be discussed here from the point of view of the Defense. We are concerned with the examination of the behavior of admirals in naval warfare, and the question of what is permissible according to international law is intimately connected with what is necessary according to the military standpoint. Therefore, in examining this particular point of the Indictment, I deeply regret that the Charter of this Tribunal deprives the accused officers of a privilege guaranteed to them as prisoners of war by the Geneva Convention namely, the passing of judgment by a military tribunal applying the laws and regulations binding on its own officers. According to Article 3 of the Charter, I am not allowed to question the competency of this Tribunal. 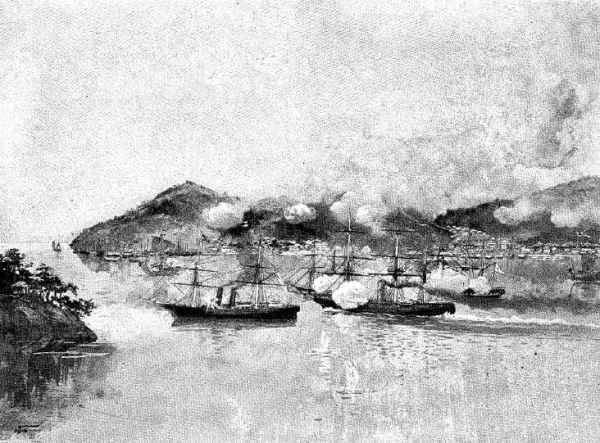 I can therefore only request the Tribunal to make up for the unfairness that I see in the aforementioned article of the Charter by applying the same standards, where the military appreciation and moral justification of the actions of tines' German admirals is concerned, as the Tribunal would apply to admirals of their own countries. A soldier, out of practical known edge of the procedure in warfare as applied not only by his owe country but also by the adversary, is keenly sensitive to the dividing line between combat and war crimes. He knows that the interpretation of international law concerning what is allowed of forbidden in naval warfare is in the last resort governed by the interests of his country. An insular power like Great Britain having long and vulnerable sea lanes, has always looked upon these questions from a different angle than the continental powers. Raeder, who has just turned 70 years of age, has been exclusively a soldier, body and soul, ever since the age of 18, that is to say, for nigh on half a century covering an eventful period. 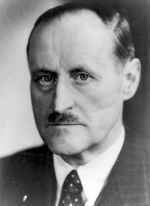 Although he was never concerned with anything but his duties as a soldier, the Prosecution has accused him, in this great Trial against National Socialism, not only as a soldier) namely, as Commander-in-Chief of the German Navy, but, a singular and decisive point, as a politician, as a political conspirator, and as a member of the Government, three things which in truth he never was. I am, therefore, faced with the singular task of defending Raeder as a politician, although it was precisely, as I shall demonstrate, his life principle as an officer to keep aloof from politics, and to command an officers' corps and a Navy likewise committed to remain entirely free from politics. If the Prosecution levels such manifold and grave accusations against Raeder, this is primarily because it has conceived a notion entirely foreign to the German Armed Forces, namely the notion of an admiral being responsible for foreign policy and for the outbreak of a war. I shall disprove this conception and show that it was unjustified and unfounded even in Hitler's National Socialist State. 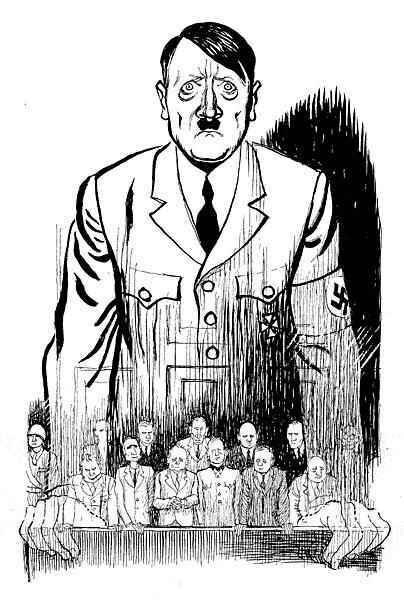 True, Hitler again and again placed politics in the forefront of the nation and endeavored to give the nation a one-track political education. Foreign countries knew this, and they may well therefore be all the more surprised by the fact that Hitler refrained from such political shaping in one single instance. Every administration, every organization, and every police institution was directed by Hitler on political principles, with the single exception of the Armed Forces. The Armed Forces, and the Navy in particular, remained for a long time and far into the war absolutely unpolitical And not only did Hitler give Raeder an assurance to this effect, but he had also given the same assurance to Hindenburg as Reich President. This explains the fact, which has also been made clear in this Trial, that up to 1944 no officer could be a member of the Party, and if he was, then his membership was suspended. 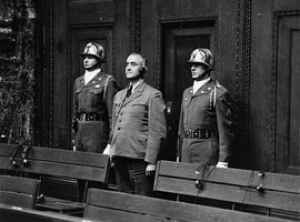 After these preliminary reflections it will be understood why Raeder, as his interrogation showed, was disconcerted and amazed at these accusations which amount to a political charge. A man who is nothing but a soldier cannot understand why he should suddenly and without any relation to his military duties be made responsible for things which at no time came within the compass of his activity. 1960 Death: Albert Kesselring: German Generalfeldmarschall who commanded Army Group C during World War II. 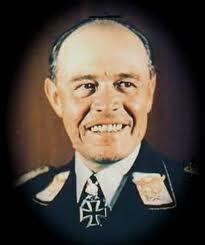 One of the most respected and skillful German generals, he was nicknamed "Smiling Albert" or "smiling Kesselring". In 1947, the Allies tried him for the shootings of partisans by troops under his command. He was found guilty and sentenced to death. This sentence caused much controversy and protest, as the evidence of Kesselring's complicity in the executions was tenuous. In his memoirs Kesselring claims that many of these shootings were carried out by communist partisans in German uniforms, while others were carried out by the SS, over which he had no authority. Kesselring succeeded in keeping Rome an open city, avoiding the destruction of many artistically important Italian cities, including Rome, Florence, Sienna and Orvieto. Kesselring was reprieved and released from prison in 1952 in consideration of his ill health. 1990 Soviet President Mikhail Gorbachev and West German Chancellor Helmut Kohl announce that Moscow has agreed to drop its objection to a united Germany's membership in NATO.